When he was little, high school student and amateur mechanic Shirou Emiya was adopted by a magus man. Now he wants nothing more than to follow in his stepfather's footsteps and become a hero of justice. Little does he know that a war is waging among some chosen magi, and that he is about to become its focal point... 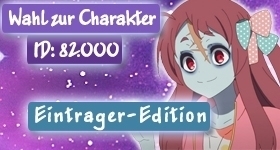 The manga addition to the super-popular mulitmedia franchis has finally arrived! 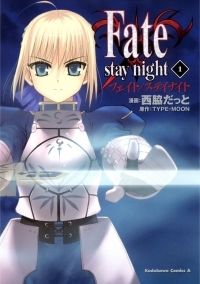 On this page we would like to show you an assortment of various merchandise for the manga “Fate/Stay Night.” You can support aniSearch by entering new merchandise into our database, using our entry form. Anything edible is acceptable. Extravagance is our enemy. Only brute warriors find glory in destruction! If you do evil out of a hatred for evil, that rage and hate will merely birth new conflict. Those who aim further for other's sake. Those who think of others before themselves. ...And those who hate themselves more than anyone. These are the qualities of a Magus. This is a contradiction you can only have if you are born broken. The weakness that had accepted death now became the strength of wanting to live. You thought deeply about the manga “Fate/Stay Night” and now you think it’s time to put these thoughts into words and to do so in a well-structured form? Then now is your chance to be the first to share your review about “Fate/Stay Night” with our community by creating a review thread for it and posting your review there. Use the button below to quickly create the thread! You want to share your opinion on the manga “Fate/Stay Night” with other members of our community, but you don’t really have enough to say about it to fill a whole review? Then don’t hesitate to create a comment thread for “Fate/Stay Night” using the following button and be the first to share your thoughts!